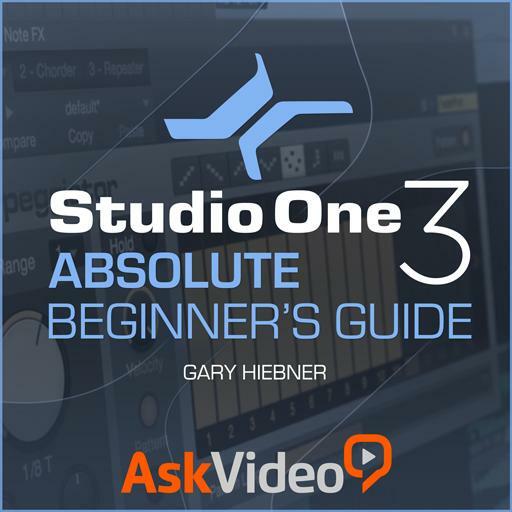 Studio One 101 - Absolute Beginner's Guide. What does the Bus Channel include? What does Studio One call the audio content you can download? What part of the user interface does ScratchPad copy across? What is the shorcut to open the Mix Console? What devices does Studio One Remote currently support? When you want to use a template, what option do you choose from the Create New Song dialog window? What button do you click on the MIDI Instrument track to bring up the user interface? How many versions of Studio One are there? What is the shortcut to bring up the Edit window when you have a MIDI track selected? What shortcut do you use to bring up the Add Tracks dialog window? On the bottom right of the Interface what 3 options do you have to choose from? What's the shortcut to the Export Mixdown command? Where can the Metronome Setup be found? Where do you set up your inputs and outputs on your audio device? What are the MIDI Effects called in Studio One? What is the button to the right of the record arm button on the track? Where do you go in the Preferences menu to add your MIDI Devices? What button do I click on the track channel to see the Inserts? What is the shortcut to view the automation parameters on the tracks? On the Start Page what option do you choose to start a new Song?